Stretches, poses, relaxation, and meditation. Those are things that one accomplishes when practicing yoga. Yoga teachers today find themselves being a mentor to more students with yoga becoming popular as a routine after work or school. With our lives becoming more hectic and stressful it isn’t surprising that people turn to something that can provide respite and relaxation. Doing yoga can actually great things for your body and your mind. What you might not know is that by doing yoga on a regular basis and having done it for a while, your body experiences positive effects which we are going to take a look at today. You will develop stronger bones – Our bones provide support to our bodies 24/7 and it is constant use that makes it stronger. Yoga, a weight-bearing exercise helps to put controlled strain on our bones keeping them healthy and strong. Your joints will be maintained – The joints in our body are just like ones in machines needing constant lubrication to keep its integrity. The various stretches in yoga puts our joints to use which keeps them lubricated with the fluids inside. You will have stronger muscles – As you follow the yoga teacher in stretching and performing yoga poses you will make use of your muscles and put them in strain which just like your bones, helps it to become stronger and healthier. Your adrenal glands will be regulated – Doing yoga helps regulate cortisol produced by your adrenal glands and although it helps one’s immunity and response better, it can have negative effects it not utilized. You will develop greater control in your nervous system – Advanced yogi like your yoga teacher are able to induce certain heart rhythms and regulate their own temperature. Through constant practicing you will also be able to do it as well. Your lungs will become more efficient – Those who have been doing yoga regularly develop a different pattern in breathing in such a way that one takes fewer breaths but with more air in each breath developing efficient lungs. You will have reduced risk of digestive complications – Doing yoga reduces one’s stress levels which actually contribute to negative effects on your colon. Thus yoga helps to prevent any complications that can be encountered there. Your sinuses will be cleared – Yoga also incorporates chanting other than regulated breathing exercises. Doing this has been found to open up the person’s sinuses which helps to drain them and providing relief for anyone with a clogged nose. You will have stronger connective tissue – In essence the components of our body are connected to each other. As you shift from one position to another you utilize different parts of your body further strengthening their connections to each other. 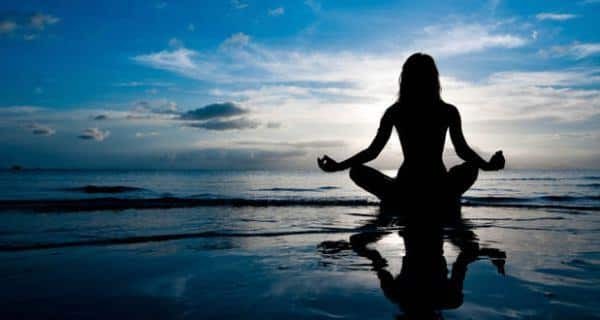 Your immune system will function better – The meditation in yoga has been found to have a correlation with the improvement of the function of one’s immune system allowing it to be more efficient against any complications the person may experience. It is So Important to See a Family Dentist. How to find a great radon inspection company.